This article is about the alphabet derived from the Aramaic alphabet (CE 135 – present). For the original Hebrew alphabet derived from the Phoenician alphabet (10th century BCE – CE 135), see Paleo-Hebrew alphabet. For the descendant of the Paleo-Hebrew alphabet, see Samaritan alphabet. For the insect, see Hebrew character. The Hebrew alphabet (Hebrew: אָלֶף־בֵּית עִבְרִי,[a] Alefbet ‘Ivri), known variously by scholars as the Jewish script, square script, and block script, is an abjad script used in the writing of the Hebrew language. It is also used in the writing of other Jewish languages, most notably Yiddish, Judaeo-Spanish, and Judeo-Arabic. Historically, two separate abjad scripts have been used to write Hebrew. The original, old Hebrew script, known as the paleo-Hebrew alphabet, has been largely preserved in a variant form as the Samaritan alphabet. The present "Jewish script" or "square script", on the contrary, is a stylized form of the Aramaic alphabet and was known by Jewish sages as the Ashuri alphabet (lit. "Assyrian"), since its origins were alleged to be from Assyria. Various "styles" (in current terms, "fonts") of representation of the Jewish script letters described in this article also exist, including a variety of cursive Hebrew styles. In the remainder of this article, the term "Hebrew alphabet" refers to the square script unless otherwise indicated. The Hebrew alphabet has 22 letters. It does not have case, but five letters have different forms when used at the end of a word. Hebrew is written from right to left. Originally, the alphabet was an abjad consisting only of consonants, but is now considered an "impure abjad". As with other abjads, such as the Arabic alphabet, during its centuries-long use scribes devised means of indicating vowel sounds by separate vowel points, known in Hebrew as niqqud. In both biblical and rabbinic Hebrew, the letters י ו ה א can also function as matres lectionis, which is when certain consonants are used to indicate vowels. There is a trend in Modern Hebrew towards the use of matres lectionis to indicate vowels that have traditionally gone unwritten, a practice known as "full spelling". The Yiddish alphabet, a modified version of the Hebrew alphabet used to write Yiddish, is a true alphabet, with all vowels rendered in the spelling, except in the case of inherited Hebrew words, which typically retain their Hebrew spellings. The Arabic and Hebrew alphabets have similarities because they are both derived from the Aramaic alphabet. A distinct Hebrew variant of the Phoenician script, called by scholars the paleo-Hebrew alphabet, emerged around 800 BCE. Examples of related early inscriptions from the area include the tenth-century Gezer calendar, and the Siloam inscription (c. 700 BCE). The paleo-Hebrew alphabet was used in the ancient kingdoms of Israel and Judah. Following the exile of the Kingdom of Judah in the 6th century BCE during the Babylonian captivity, Jews began using a form of the Assyrian Aramaic alphabet, which was another offshoot of the same family of scripts. The Samaritans, who remained in the Land of Israel, continued to use the paleo-Hebrew alphabet. During the 3rd century BCE, Jews began to use a stylized, "square" form of the Aramaic alphabet that was used by the Persian Empire (and which in turn had been adopted from the Assyrians), while the Samaritans continued to use a form of the paleo-Hebrew script called the Samaritan alphabet. After the fall of the Persian Empire in 330 BCE, Jews used both scripts before settling on the square Assyrian form. The square Hebrew alphabet was later adapted and used for writing languages of the Jewish diaspora – such as Karaim, the Judeo-Arabic languages, Judaeo-Spanish, and Yiddish. The Hebrew alphabet continued in use for scholarly writing in Hebrew and came again into everyday use with the rebirth of the Hebrew language as a spoken language in the 18th and 19th centuries, especially in Israel. In the traditional form, vowels are indicated by the weak consonants Aleph (א), He (ה), Vav (ו), or Yodh (י) serving as vowel letters, or matres lectionis: the letter is combined with a previous vowel and becomes silent, or by imitation of such cases in the spelling of other forms. Also, a system of vowel points to indicate vowels (diacritics), called niqqud, was developed. In modern forms of the alphabet, as in the case of Yiddish and to some extent Modern Hebrew, vowels may be indicated. Today, the trend is toward full spelling with the weak letters acting as true vowels. When used to write Yiddish, vowels are indicated, using certain letters, either with niqqud diacritics (e.g. אָ or יִ) or without (e.g. ע or י), except for Hebrew words, which in Yiddish are written in their Hebrew spelling. To preserve the proper vowel sounds, scholars developed several different sets of vocalization and diacritical symbols called nequdot (ניקודות, literally "points"). One of these, the Tiberian system, eventually prevailed. Aaron ben Moses ben Asher, and his family for several generations, are credited for refining and maintaining the system. These points are normally used only for special purposes, such as Biblical books intended for study, in poetry or when teaching the language to children. The Tiberian system also includes a set of cantillation marks, called "trope", used to indicate how scriptural passages should be chanted in synagogue recitations of scripture (although these marks do not appear in the scrolls). In everyday writing of modern Hebrew, niqqud are absent; however, patterns of how words are derived from Hebrew roots (called shorashim or "triliterals") allow Hebrew speakers to determine the vowel-structure of a given word from its consonants based on the word's context and part of speech. Unlike the Paleo-Hebrew writing script, the modern Ashuri script has five letters that have special final forms,[c] called sofit (Hebrew: סופית‎, meaning in this context "final" or "ending") form, used only at the end of a word, somewhat as in the Greek or in the Arabic and Mandaic alphabets. [b] These are shown below the normal form in the following table (letter names are Unicode standard). Although Hebrew is read and written from right to left, the following table shows the letters in order from left to right. The descriptions that follow are based on the pronunciation of modern standard Israeli Hebrew. Note that dotless tav, ת, would be expected to be pronounced /θ/ (voiceless dental fricative), but this pronunciation was lost among most Jews due to its not existing in the countries where they lived (such as in nearly all of Eastern Europe). Yiddish modified this /θ/ to /s/ (cf. seseo in Spanish), but in modern Israeli Hebrew, it is simply pronounced /t/. Shin and sin are represented by the same letter, ש, but are two separate phonemes. When vowel diacritics are used, the two phonemes are differentiated with a shin-dot or sin-dot; the shin-dot is above the upper-right side of the letter, and the sin-dot is above the upper-left side of the letter. Historically, left-dot-sin corresponds to Proto-Semitic *ś, which in biblical-Judaic-Hebrew corresponded to the voiceless alveolar lateral fricative /ɬ/, as evidenced in the Greek transliteration of Hebrew words such as balsam (בֹּשֶׂם) (the ls - 'שׂ') as is evident in the Targum Onkelos. In other dialects (mainly liturgical) there are variations from this pattern. In Syrian and Yemenite Hebrew, gimel without dagesh is pronounced [ɣ]. In Yemenite Hebrew, and in the Iraqi pronunciation of the word "Adonai", dalet without dagesh is pronounced [ð] as in "these"
In Ashkenazi Hebrew, tav without dagesh is pronounced [s] as in "silk"
In Iraqi and Yemenite Hebrew, and formerly in some other dialects, tav without dagesh is pronounced [θ] as in "thick"
The sounds [t͡ʃ], [d͡ʒ], [ʒ], written "צ׳", "ג׳", "ז׳", and [w], non-standardly sometimes transliterated וו, are often found in slang and loanwords that are part of the everyday Hebrew colloquial vocabulary. 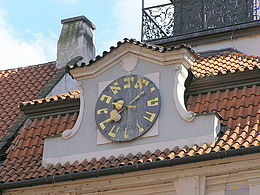 The apostrophe-looking symbol after the Hebrew letter modifies the pronunciation of the letter and is called a geresh. The pronunciation of the following letters can also be modified with the geresh diacritic, the represented sounds are however foreign to Hebrew phonology, i.e., these symbols mainly represent sounds in foreign words or names when transliterated with the Hebrew alphabet, and not loanwords. * Often a simple ד is written. Ḥet with a geresh ח׳ [χ] Khāʼ (خ) Sheikh (شيخ)‎ שייח׳ * Unlike the other sounds in this table, the sound [χ] represented by ח׳ is indeed a native sound in Hebrew; the geresh is however used only when transliteration must distinguish between [χ] and [ħ], in which case ח׳ transliterates the former and ח the latter, whereas in everyday usage ח without geresh is pronounced [ħ] only dialectically but [χ] commonly. A geresh is also used to denote acronyms pronounced as a string of letters, and to denote a Hebrew numeral. Geresh also is the name of one of the notes of cantillation in the reading of the Torah, but its appearance and function is different. ח chet and ע ayin represented pharyngeal fricatives, צ tsadi represented the emphatic consonant /sˤ/, ט tet represented the emphatic consonant /tˤ/, and ק qof represented the uvular plosive /q/. All these are common Semitic consonants. שׂ sin (the /s/ variant of ש shin) was originally different from both שׁ shin and ס samekh, but had become /s/ the same as ס samekh by the time the vowel pointing was devised. Because of cognates with other Semitic languages, this phoneme is known to have originally been a lateral consonant, most likely the voiceless alveolar lateral fricative /ɬ/ (the sound of modern Welsh ll) or the voiceless alveolar lateral affricate /tɬ/ (like Náhuatl tl). The following table contains the pronunciation of the Hebrew letters in reconstructed historical forms and dialects using the International Phonetic Alphabet. The apostrophe-looking symbol after some letters is not a yud but a geresh. It is used for loanwords with non-native Hebrew sounds. The dot in the middle of some of the letters, called a "dagesh kal", also modifies the sounds of the letters ב, כ and פ in modern Hebrew (in some forms of Hebrew it modifies also the sounds of the letters ג, ד and/or ת; the "dagesh chazak" – orthographically indistinguishable from the "dagesh kal" – designates gemination, which today is realized only rarely – e.g. in biblical recitations or when using Arabic loanwords). sometimes said to be ejective but more likely glottalized. א alef, ע ayin, ו vav and י yod are letters that can sometimes indicate a vowel instead of a consonant (which would be, respectively, /ʔ/, /ʔ/, /v/ and /j/). When they do, ו and י are considered to constitute part of the vowel designation in combination with a niqqud symbol – a vowel diacritic (whether or not the diacritic is marked), whereas א and ע are considered to be mute, their role being purely indicative of the non-marked vowel. Note 1: The circle represents whatever Hebrew letter is used. Note 2: The pronunciation of tsere and sometimes segol – with or without the letter yod – is sometimes ei in Modern Hebrew. This is not correct in the normative pronunciation and not consistent in the spoken language. Note 3: The dagesh, mappiq, and shuruk have different functions, even though they look the same. Note 4: The letter ו (vav) is used since it can only be represented by that letter. By adding a vertical line (called Meteg) underneath the letter and to the left of the vowel point, the vowel is made long. The meteg is only used in Biblical Hebrew, not Modern Hebrew. the vowel is made very short. The short o and long a have the same niqqud. The symbol ״ is called a gershayim and is a punctuation mark used in the Hebrew language to denote acronyms. It is written before the last letter in the acronym, e.g. ר״ת. Gershayim is also the name of a note of cantillation in the reading of the Torah, printed above the accented letter, e.g. א֞. The following table displays typographic and chirographic variants of each letter. For the five letters that have a different final form used at the end of words, the final forms are displayed beneath the regular form. The block (square, or "print" type) and cursive ("handwritten" type) are the only variants in widespread contemporary use. Rashi is also used, for historical reasons, in a handful of standard texts. װ ױ ײ ײַ These are intended for Yiddish. They are not used in Hebrew, aside from in loan words[d]. בֿ The rafe (רפה) diacritic is no longer regularly used in Hebrew. In Masoretic Texts and some other older texts, lenited consonants and sometimes matres lectionis are indicated by a small line on top of the letter. Its use has been largely discontinued in modern printed texts. It is still used to mark fricative consonants in the YIVO orthography of Yiddish. Following the adoption of Greek Hellenistic alphabetic numeration practice, Hebrew letters started being used to denote numbers in the late 2nd century BC, and performed this arithmetic function for about a thousand years. Nowadays alphanumeric notation is used only in specific contexts, e.g. denoting dates in the Hebrew calendar, denoting grades of school in Israel, other listings (e.g. שלב א׳, שלב ב׳ – "phase a, phase b"), commonly in Kabbalah (Jewish mysticism) in a practice known as gematria, and often in religious contexts. The numbers 500, 600, 700, 800 and 900 are commonly represented by the juxtapositions ק״ת, ר״ת, ש״ת, ת״ת, and ק״תת respectively. Adding a geresh ("׳") to a letter multiplies its value by one thousand, for example, the year 5778 is portrayed as ה׳תשע״ח, where ה׳ represents 5000, and תשע״ח represents 778. The following table lists transliterations and transcriptions of Hebrew letters used in Modern Hebrew. For some letters, the Academy of the Hebrew Language offers a precise transliteration that differs from the regular standard it has set. When omitted, no such precise alternative exists and the regular standard applies. The IPA phonemic transcription is specified whenever it uses a different symbol from the one used for the regular standard Israeli transliteration. The IPA phonetic transcription is specified whenever it differs from IPA phonemic transcription. Note: SBL's transliteration system, recommended in its Handbook of Style, differs slightly from the 2006 precise transliteration system of the Academy of the Hebrew Language; for "צ" SBL uses "ṣ" (≠ AHL "ẓ"), and for בג״ד כפ״ת with no dagesh, SBL uses the same symbols as for with dagesh (i.e. "b", "g", "d", "k", "f", "t"). Click "show" to view extended table including examples. A1^ 2^ 3^ 4^ In transliterations of modern Israeli Hebrew, initial and final ע (in regular transliteration), silent or initial א, and silent ה are not transliterated. To the eye of readers orientating themselves on Latin (or similar) alphabets, these letters might seem to be transliterated as vowel letters; however, these are in fact transliterations of the vowel diacritics – niqqud (or are representations of the spoken vowels). E.g., in אִם ("if", [ʔim]), אֵם ("mother", [ʔe̞m]) and אֹם ("nut", [ʔo̞m]), the letter א always represents the same consonant: [ʔ] (glottal stop), whereas the vowels /i/, /e/ and /o/ respectively represent the spoken vowel, whether it is orthographically denoted by diacritics or not. Since the Academy of the Hebrew Language ascertains that א in initial position is not transliterated, the symbol for the glottal stop ʾ is omitted from the transliteration, and only the subsequent vowels are transliterated (whether or not their corresponding vowel diacritics appeared in the text being transliterated), resulting in "im", "em" and "om", respectively. B1^ 2^ 3^ The diacritic geresh – "׳" – is used with some other letters as well (ד׳, ח׳, ט׳, ע׳, ר׳, ת׳), but only to transliterate from other languages to Hebrew – never to spell Hebrew words; therefore they were not included in this table (correctly translating a Hebrew text with these letters would require using the spelling in the language from which the transliteration to Hebrew was originally made). The non-standard "ו׳" and "וו" [e1] are sometimes used to represent /w/, which like /d͡ʒ/, /ʒ/ and /t͡ʃ/ appears in Hebrew slang and loanwords. C1^ 2^ The Sound /χ/ (as "ch" in loch) is often transcribed "ch", inconsistently with the guidelines specified by the Academy of the Hebrew Language: חם /χam/ → "cham"; סכך /sχaχ/ → "schach". D^ Although the Bible does include a single occurrence of a final pe with a dagesh (Book of Proverbs 30, 6: "אַל-תּוֹסְףְּ עַל-דְּבָרָיו: פֶּן-יוֹכִיחַ בְּךָ וְנִכְזָבְתָּ. "), in modern Hebrew /p/ is always represented by pe in its regular, not final, form "פ", even when in final word position, which occurs with loanwords (e.g. שׁוֹפּ /ʃop/ "shop"), foreign names (e.g. פִילִיפּ /ˈfilip/ "Philip") and some slang (e.g. חָרַפּ /χaˈrap/ "slept deeply"). The letters of the Hebrew alphabet have played varied roles in Jewish religious literature over the centuries, primarily in mystical texts. Some sources in classical rabbinical literature seem to acknowledge the historical provenance of the currently used Hebrew alphabet and deal with them as a mundane subject (the Jerusalem Talmud, for example, records that "the Israelites took for themselves square calligraphy", and that the letters "came with the Israelites from Ashur [Assyria]"); others attribute mystical significance to the letters, connecting them with the process of creation or the redemption. In mystical conceptions, the alphabet is considered eternal, pre-existent to the Earth, and the letters themselves are seen as having holiness and power, sometimes to such an extent that several stories from the Talmud illustrate the idea that they cannot be destroyed. The idea of the letters' creative power finds its greatest vehicle in the Sefer Yezirah, or Book of Creation, a mystical text of uncertain origin which describes a story of creation highly divergent from that in the Book of Genesis, largely through exposition on the powers of the letters of the alphabet. The supposed creative powers of the letters are also referenced in the Talmud and Zohar. Another book, the 13th-century Kabbalistic text Sefer HaTemunah, holds that a single letter of unknown pronunciation, held by some to be the four-pronged shin on one side of the teffilin box, is missing from the current alphabet. The world's flaws, the book teaches, are related to the absence of this letter, the eventual revelation of which will repair the universe. Another example of messianic significance attached to the letters is the teaching of Rabbi Eliezer that the five letters of the alphabet with final forms hold the "secret of redemption". Why does the story of creation begin with bet?... In the same manner that the letter bet is closed on all sides and only open in front, similarly you are not permitted to inquire into what is before or what was behind, but only from the actual time of Creation. Extensive instructions about the proper methods of forming the letters are found in Mishnat Soferim, within Mishna Berura of Yisrael Meir Kagan. See aleph number and beth number and gimel function. (aleph) notation marks the ordered sequence of all distinct infinite cardinal numbers. is the cardinality of the continuum. Very occasionally, gimel is used in cardinal notation. An example of a Hebrew keyboard. The Unicode Hebrew block extends from U+0590 to U+05FF and from U+FB1D to U+FB4F. It includes letters, ligatures, combining diacritical marks (Niqqud and cantillation marks) and punctuation. The Numeric Character References is included for HTML. These can be used in many markup languages, and they are often used in Wiki to create the Hebrew glyphs compatible with the majority of web browsers. Standard Hebrew keyboards have a 101-key layout. Like the standard QWERTY layout, the Hebrew layout was derived from the order of letters on Hebrew typewriters. a^ "Alef-bet" is commonly written in Israeli Hebrew without the maqaf (מקף, "[Hebrew] hyphen"), אלפבית עברי, as opposed to with the hyphen, אלף־בית עברי. b^ The Arabic letters generally (as six of the primary letters can have only two variants) have four forms, according to their place in the word. The same goes with the Mandaic ones, except for three of the 22 letters, which have only one form. c^ In forms of Hebrew older than Modern Hebrew, כ״ף, בי״ת and פ״א can only be read b, k and p, respectively, at the beginning of a word, while they will have the sole value of v, kh and f in a sofit (final) position, with few exceptions. In medial positions, both pronunciations are possible. In Modern Hebrew this restriction is not absolute, e.g. פִיזִיקַאי /fiziˈkaj/ and never /piziˈkaj/ (= "physicist"), סְנוֹבּ /snob/ and never /snov/ (= "snob"). A dagesh may be inserted to unambiguously denote the plosive variant: בּ = /b/, כּ = /k/, פּ =/p/; similarly (though today very rare in Hebrew and common only in Yiddish) a rafé placed above the letter unambiguously denotes the fricative variant: בֿ = /v/, כֿ = /χ/ and פֿ = /f/. In Modern Hebrew orthography, the sound [p] at the end of a word is denoted by the regular form "פ", as opposed to the final form "ף", which always denotes [f] (see table of transliterations and transcriptions, comment[D]). d^ However, וו (two separate vavs), used in Ktiv male, is to be distinguished from the Yiddish ligature װ (also two vavs but together as one character). e1^ e2^ e3^ e4^ e5^ The Academy of the Hebrew Language states that both [v] and [w] be indistinguishably represented in Hebrew using the letter Vav. Sometimes the Vav is indeed doubled, however not to denote [w] as opposed to [v] but rather, when spelling without niqqud, to denote the phoneme /v/ at a non-initial and non-final position in the word, whereas a single Vav at a non-initial and non-final position in the word in spelling without niqqud denotes one of the phonemes /u/ or /o/. To pronounce foreign words and loanwords containing the sound [w], Hebrew readers must therefore rely on former knowledge and context. ^ "Hebrew alphabet." Encyclopedia Britannica. "Square Hebrew became established in the 2nd and 1st centuries bce and developed into the modern Hebrew alphabet over the next 1,500 years." ^ Babylonian Talmud (Sanhedrin 21b–22a); Jerusalem Talmud (Megillah 10a). Cf. Mishnah (Megillah 1:8): "The Books [of Scripture] differ from phylacteries and Mezuzahs only in that the Books may be written in any language, while phylacteries and Mezuzahs may be written in the Assyrian writing only." See: The Mishnah (ed. Herbert Danby), Oxford University Press: London 1977, p. 202. ^ Saénz-Badillos, Angel (1993). A History of the Hebrew Language. Cambridge, UK: Cambridge University Press. p. 16. ^ Saénz-Badillos, Angel (1993). A History of the Hebrew Language. Cambridge, UK: Cambridge University Press. pp. 61–62. ^ A History of the Hebrew Language. Cambridge, England: Cambridge University Press. 1993. ISBN 978-0-521-55634-7. ^ a b Unicode names of Hebrew characters at fileformat.info. ^ Kaplan, Aryeh. Sefer Yetzirah: The Book of Creation. pp. 8, 22. ^ a b c d "ךּ" is rare but exists, e.g. last word in Deuteronomy 7 1 (דברים פרק ז׳ פסוק א׳) in the word "מִמֶּךָּ" – see תנ״ך מנוקד, דברים פרק ז׳. There is a single occurrence of "ףּ", see this comment[D]. ^ Laufer, Asher (2008). Chapters in Phonetics and Phonetic Transcription. Jerusalem: Magnes. pp. 207–211. ISBN 978-965-493-401-5. ^ Sirat, Colette (1976), Ecriture et civilisations, Paris: Editions du CNRS. ^ Babylonian Talmud, Tractate Pesach 87b, Avodah Zarah 18a. ^ "Transliteration Rules" (PDF). Archived from the original (PDF) on 2014-07-03. issued by the Academy of the Hebrew Language. Gesenius' Hebrew Grammar, §5 ff. Wikimedia Commons has media related to Hebrew alphabet.